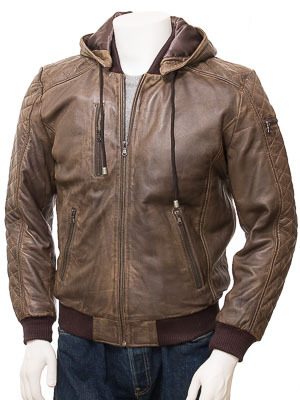 A superb leather bomber jacket with a detachable hood. 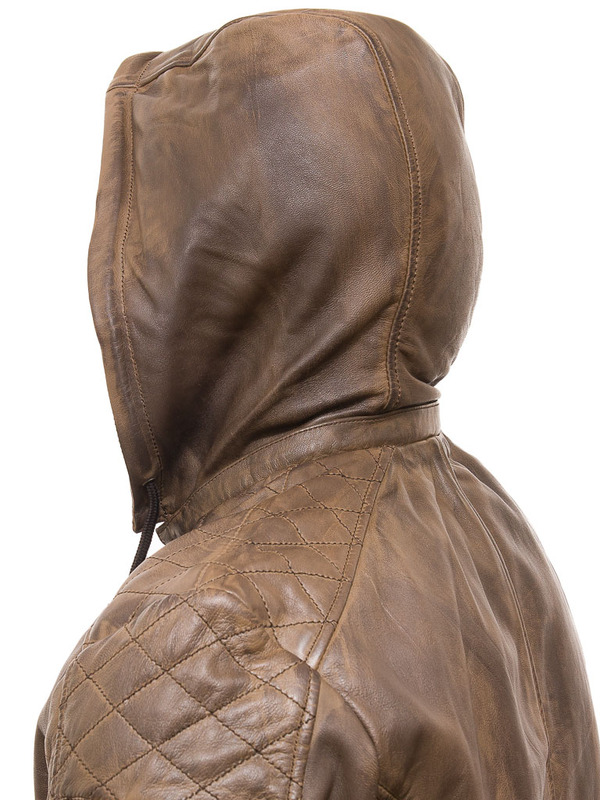 Crafted from ultra soft sheep aniline leather this jacket features a YKK zip front leading to a varsity style rib knit collar with a concealed zip that attaches the fully lined, drawstring hood. 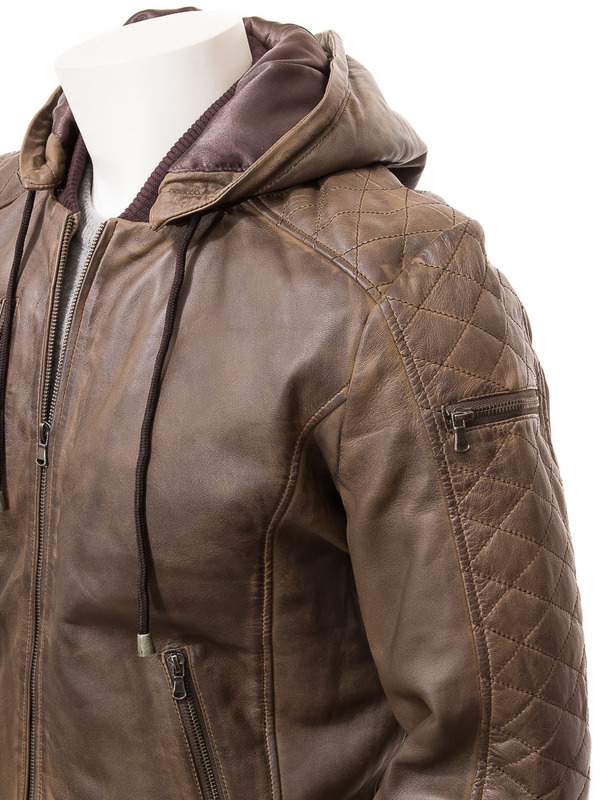 Quilting is a massive trend this season and this jacket includes it along the shoulders and down each sleeve. 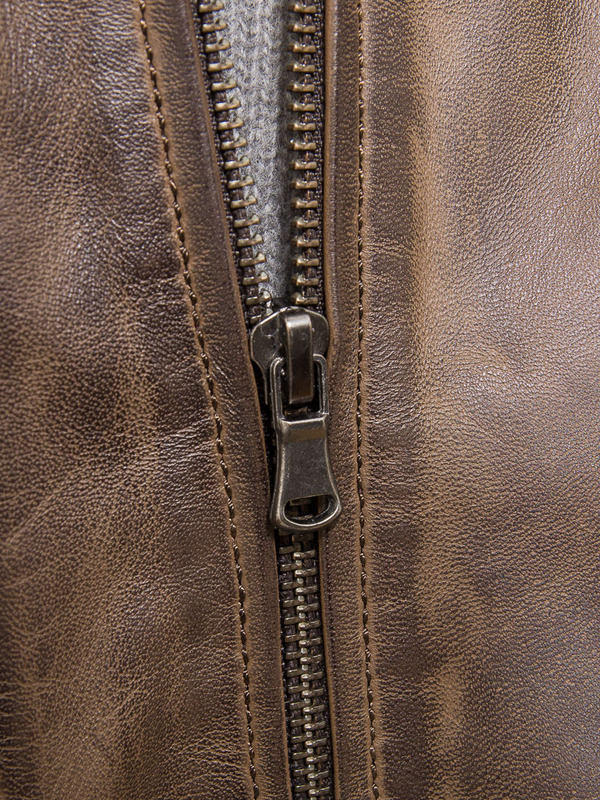 There are a total of three external zip pockets and rib knit at the cuffs and hem. 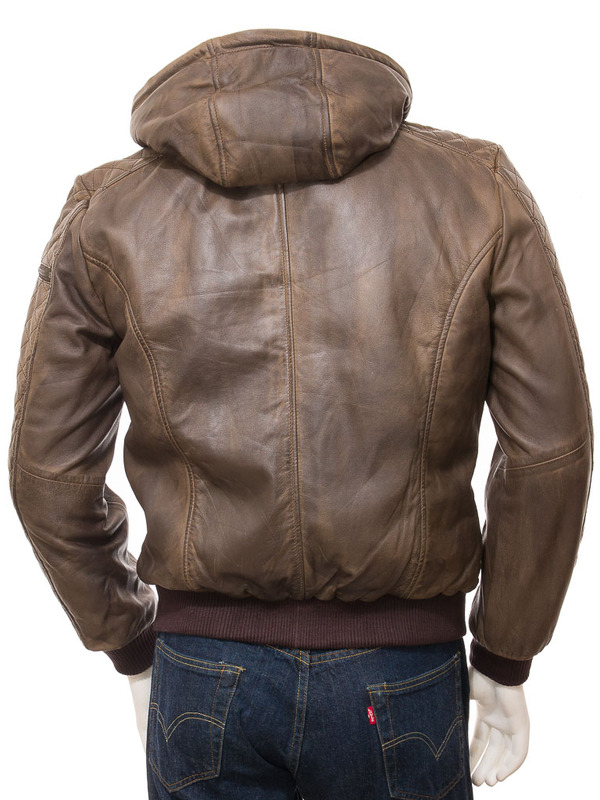 Inside, this jacket is fully satin lined and includes two more leather trimmed pockets, one zipped for additional security.